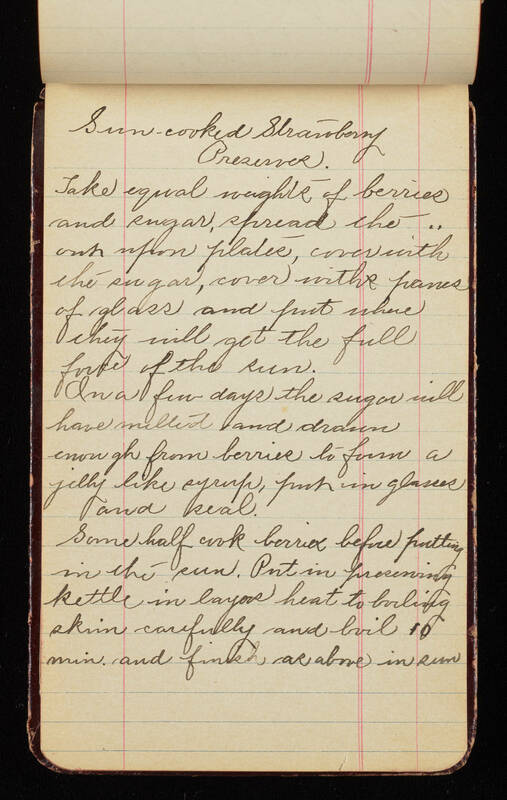 Sun-cooked Strawberry Preserves Take equal weight of berries and sugar, spread, the -.. [strawberries] out upon plate, cover with the sugar, cover with panes of glass and put where they will get the full force of the sun. In a few days the sugar will have melted and drawn enough from berries to form a jelly like syrup, put in glasses and seal. Some half cook berries before putting in the sun. Put in preserving kettle in layers heat to boiling skim carefully and boil 10 min. and finish as above in sun.